The Diamond Dawgs 11U travel baseball team from Bennettsville, S.C. are the 2018 Top Gun Summer World Series Champions. 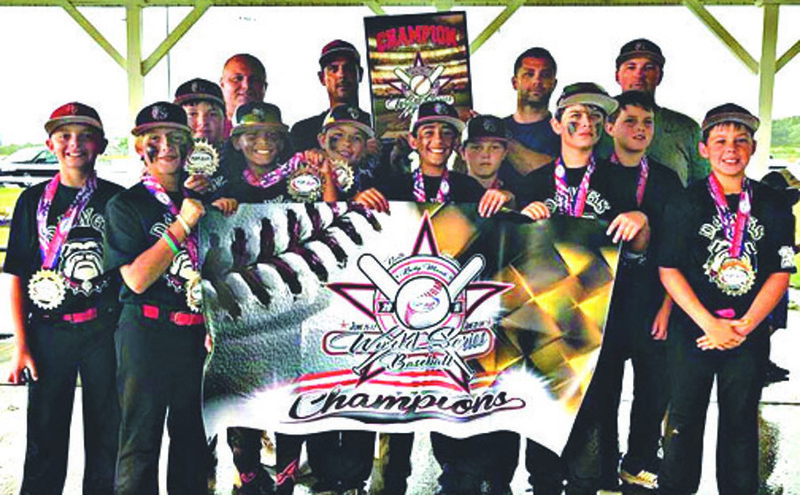 They competed in the 3-day tournament held in Rocky Mount, N.C. along with 22 other teams on June 15–17. They played a total of 7 games and went undefeated. Players from left to right. : Aiden Boan, Layton Hardee, Tyson Caulder, Mack Hunt, Kaden Johnson, Brennan Grooms, Jackson Outlar, Patrick Stubbs, Dawson Munns, and Will Quick. Not pictured are Austin Hicks and Jackson James. ; Left to right, coaches: Billy Stubbs, Shuford Quick, Jack Outlar, and Brian Hardee. Not pictured Lonnie Hicks.